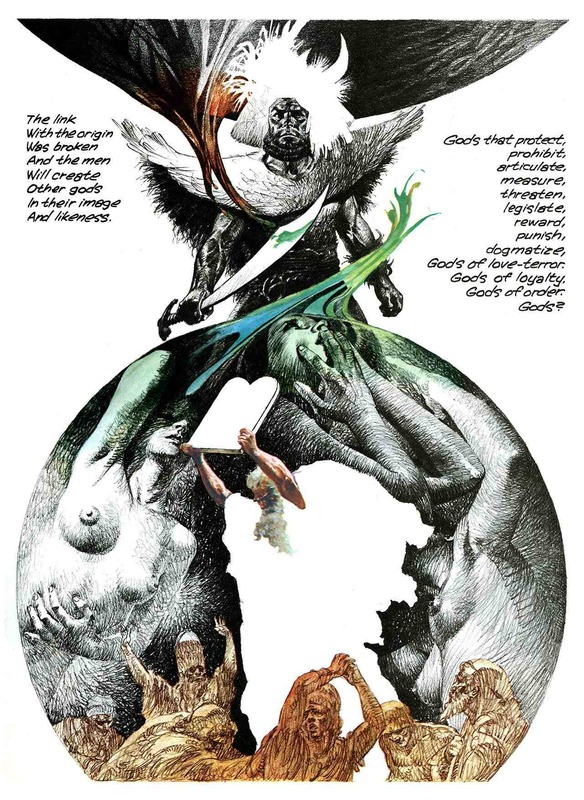 The cover is uncredited, but the moment I pulled Larksong at Dawn out of the stacks of old paperbacks at a local church sale, I knew by the signature that the illustrator was Fernando Fernández, whose “Circles Trilogy” was featured here at RCN back in 2010. 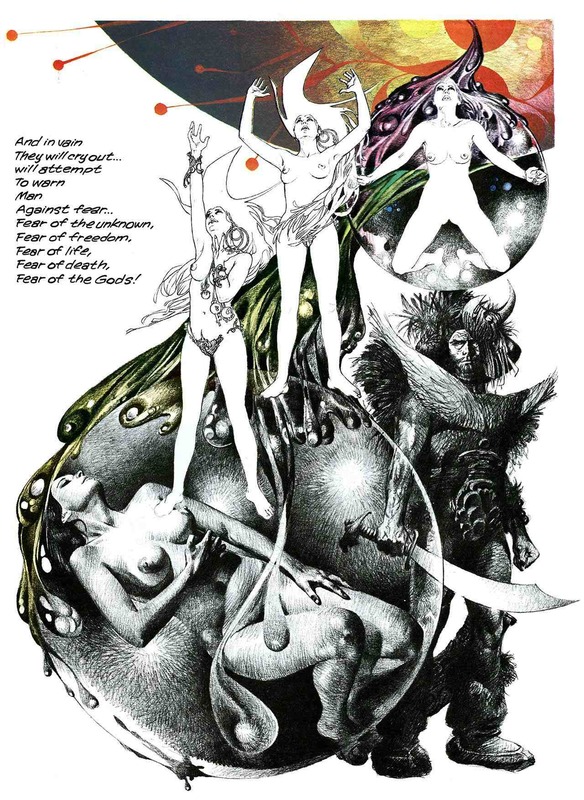 Fernández had died earlier that same year, and his passing was noted, and his career celebrated, in an obituary published on the Guardian website right here. 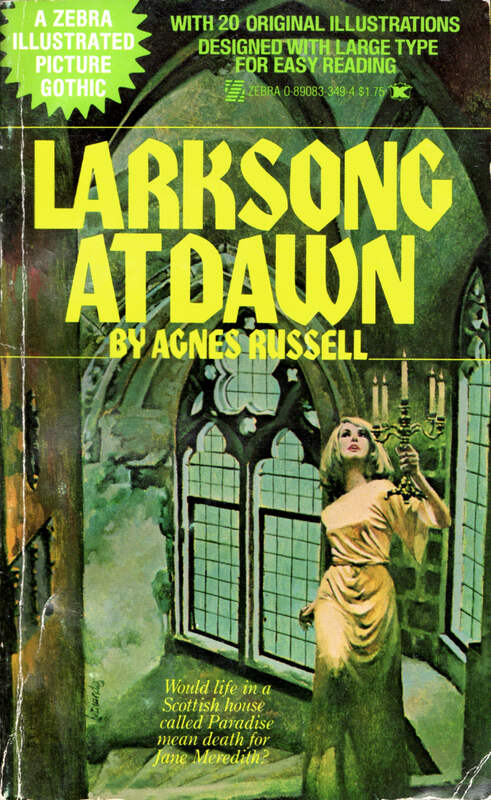 ABOVE: Agnes Russell, Larksong at Dawn (NY: Zebra Books, 1978), with cover art by Fernando Fernandez. 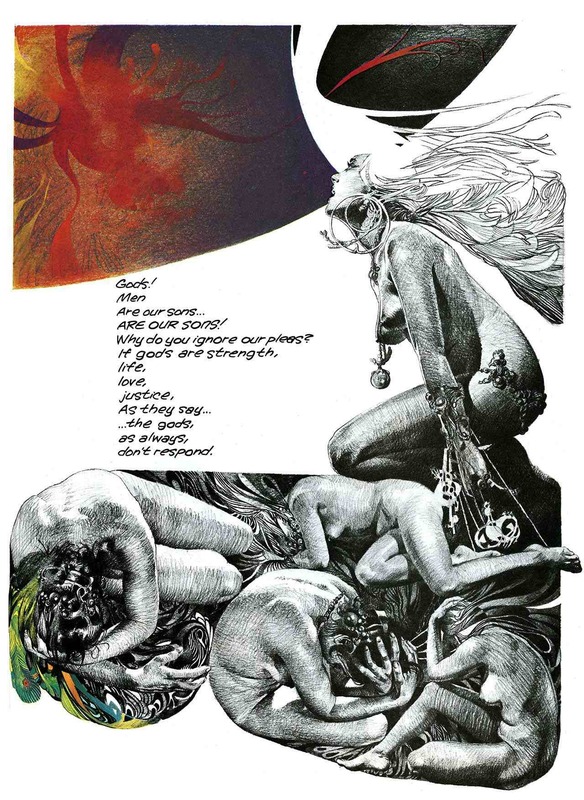 Keywords: Fernando Fernandez, Larksong at Dawn by Agnes Russell. 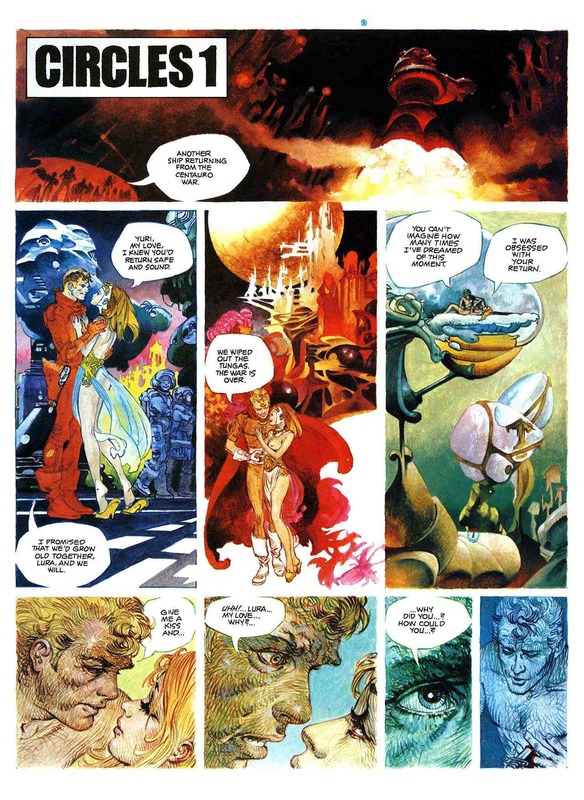 Although I wish the story amounted to more than a poorly thought out variation on Kubrick’s 2001: A Space Odyssey, I do admire how the bold contrasts and the variety of illustration techniques on display here give the story such an opulent, even decadent, feeling. 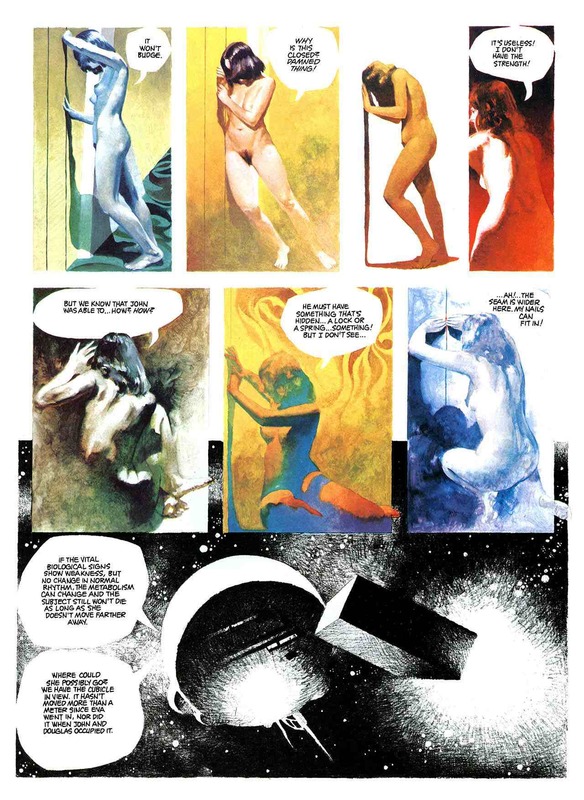 As I recall, several other Spanish artists, including fan-favourite Jose Gonzalez (1939–2009), used to switch back and forth between mediums in the stories they drew for Vampirella, although in black and white, the effect is somewhat different. 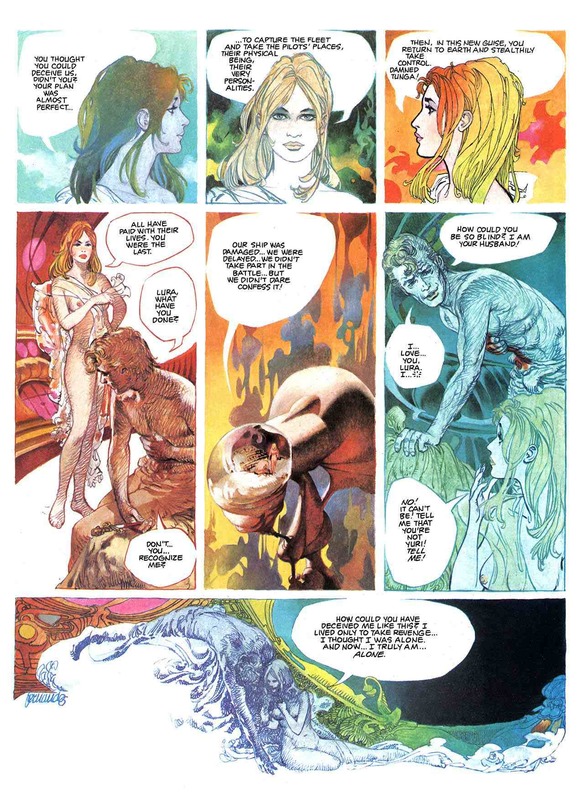 In a couple of spots, Fernandez’s work reminds me of Bill Sienkiewicz’s painted comics, but I have no idea whether Sienkiewicz would count Fernandez as an influence. Maybe, maybe not. Born in Spain on 07 February 1940, Fernando Fernandez passed away in Barcelona this past summer, on 09 August 2010, at the age of 70.